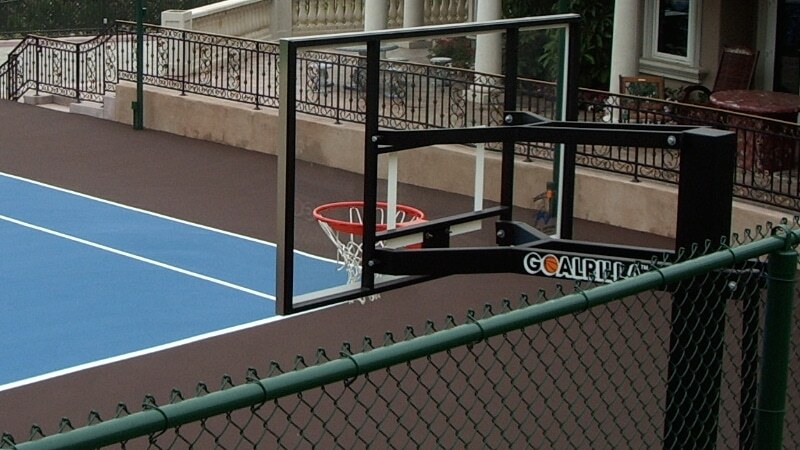 Basketball court surfaces have a big impact on the quality and enjoyment of the game. The surface should provide good traction, good bounce and durability. Outdoor courts need to stand up to extreme heat and cold weather conditions including moisture. Concrete provides a smooth, durable and consistent surface and should be installed with a vapor barrier and sealant. The surface can be re-surfaced with paint and the court lines applied. Concrete courts can be unforgiving without any cushioning, A rubber layer between the concrete foundation and acrylic surface can be applied for greater shock absorption. A polyurethane finish on the top over the acrylic can be added to enhance durability and provide a moisture barrier. 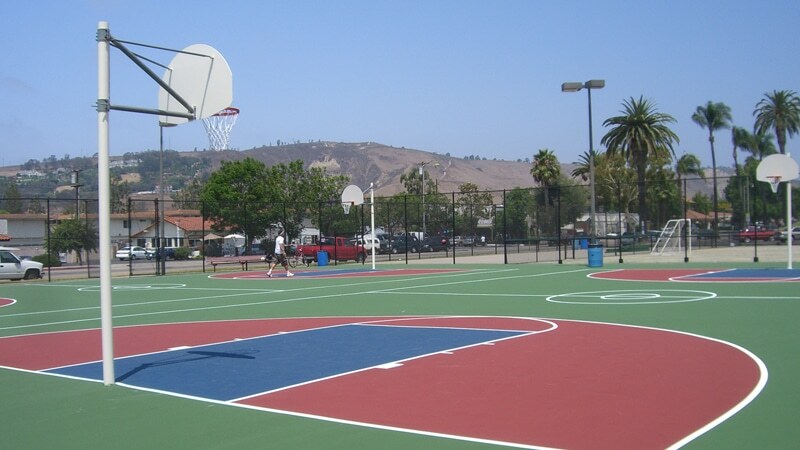 Asphalt is not an uncommon outdoor basketball court surface. It does break down over time developing chips and cracks. Asphalt is not as smooth as concrete but by using different rock blends in the asphalt, the surface can be made smoother. 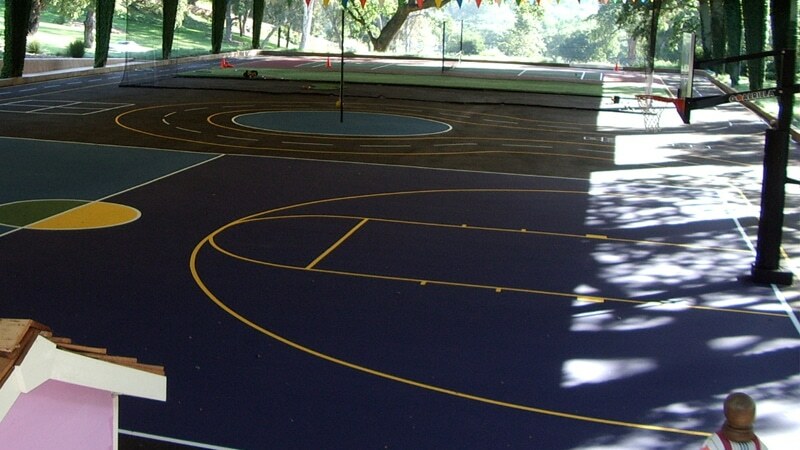 Asphalt should have a weather sealant applied and then the court paint and lines can be applied. 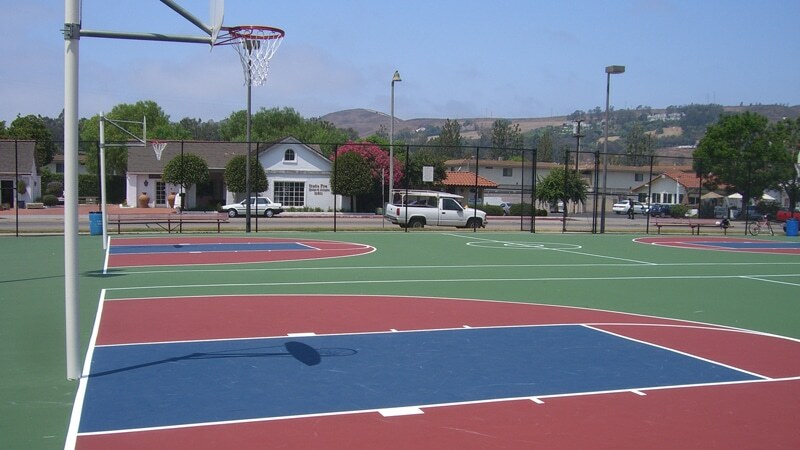 Whatever your basketball court needs, Taylor Tennis Courts can provide the most up to date techniques, materials and court surfaces to meet your specifications. 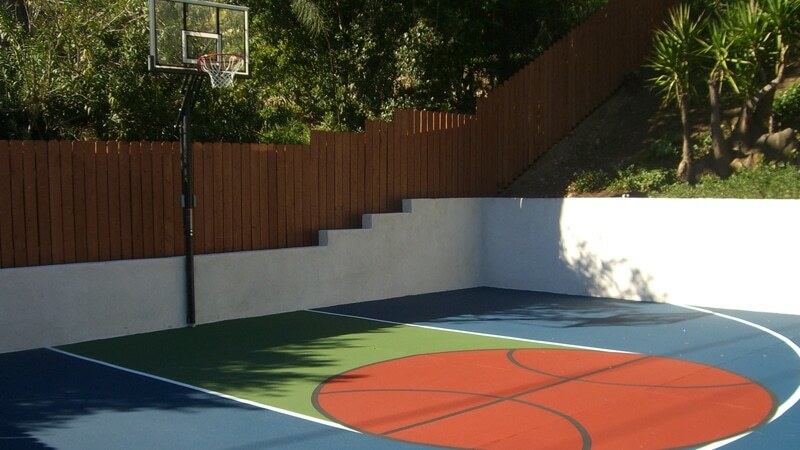 We pride ourselves in our customer satisfaction and have built courts throughout Southern California for personal and commercial use. Contact Taylor Tennis courts today.